Happy Thanksgiving from all of us here at Moostash Joe Tours! We hope it was full of good family, good food and some good football. (Go Big Red!) Some of the staff here was busy Thanksgiving morning. We spent our day-off from work out running around in the cold and rain at this year’s Fremont YMCA Turkey Trot. We looked less like turkeys and more like penguins all bundled up. 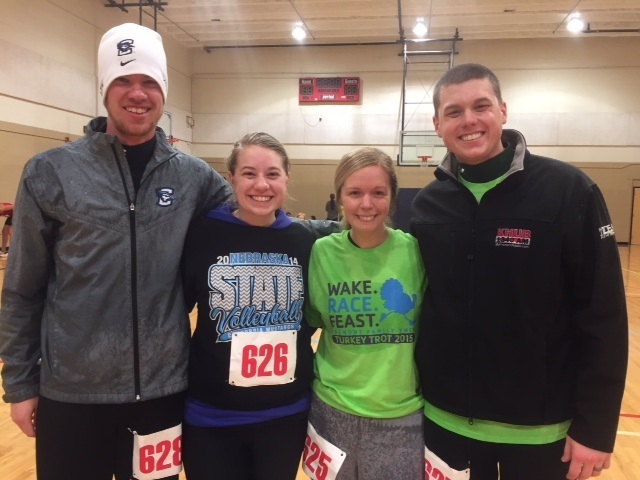 We did return home with some hardware, however, as John Spellerberg finished first overall and Jenna Spellerberg finished first in her division in the 2-mile run, while Joey and Ashley spent some quality husband-wife time. We certainly have a lot to be thankful for. Just this past Tuesday, November 24th, we held our Ribbon Cutting Celebration at our new office location! It was a raging success, with many Moostash Joe Tour friends coming to help christen the occasion. 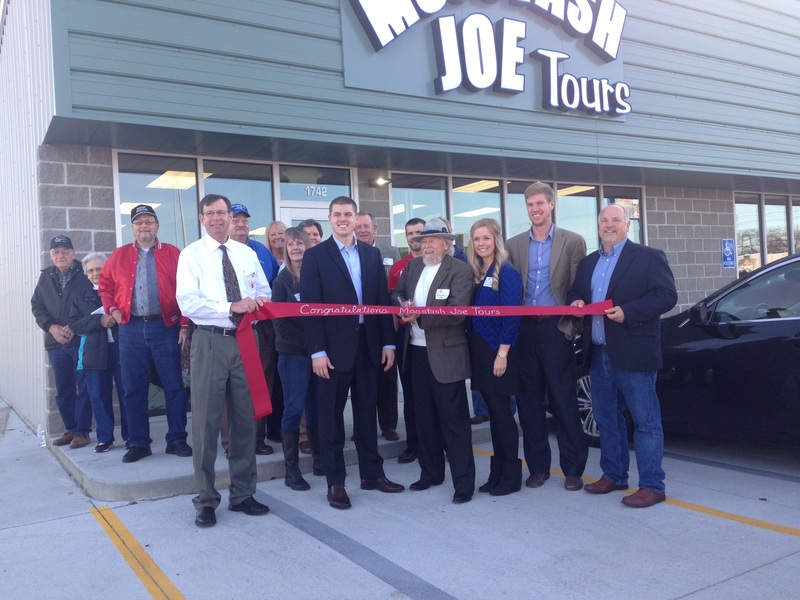 Those that attended heard from Fremont’s Mayor, Scott Getzschman, our President, Joey Spellerberg and saw Moostash Joe himself cut the ribbon. Our office neighbors, KHUB 1340 AM and KFMT 105.5 FM Radio were also there to document the special morning. Below is a link to their news article as well as a neat video recap of our ribbon cutting. And remember, if you’re worried about the weather, don’t be! No matter the weather, we’ll be ready to go. Our motor coaches cut through ice and snow like butter! This entry was posted in Announcements and tagged bus tours, bus tours come with senior discounts, bus tours from Nebraska, senior discounts on November 27, 2015 by Moostash Joe Tours. Finally, the moment you’ve all been waiting for! With so many new bus tours from Nebraska, our 2016 schedule is bigger and better than ever. This year’s tour booklet features each and every tour we offer in date order with prices and a short overview, as well as a neat “2015 Year in Review.” We also included a “Book Now” checkbox to make choosing your ideal tour even more convenient. So without any further ado, click the link below to view a PDF version of the complete tour list for 2016. Look it over, ask your friends, and reserve your spot today! Many of our tours book very quickly, and we promise it’s never to early. Give us a call at 1-800-806-7944, visit our website – www.mjtours.com or stop by our office for detailed information regarding each specific tour. What an incredible response from you! The Cornhuskers are wrong; Moostash Joe Tours has the best fans in the nation. We heard from over 600 of you, making for some incredibly helpful information. We noticed we absolutely could not do what we do without you(! ), as over 62% said you heard about us from a friend or relative. 82% of those who responded have been on a tour with us before. The majority told us you want us to keep sending information through the mail (we’re not going to stop doing that). And the majority of you said you’d be interested in fly-in tours, something we’ve certainly been thinking about for awhile now. We learned that it’s our price, product, and people that sets us apart. The link below shares a few of the many reasons why you travel with us. Why do you travel with Moostash Joe Tours? The feedback from all the questions you answered are greatly appreciated, and don’t be surprised to find some of your suggestions on our 2016 schedule and itineraries. Even if you don’t find them, don’t be discouraged, 2017 is closer than you think! Thank you very much again for taking the time to complete the survey. Struggling to think of a different and fun gift to give this year? Do you think your kids know what to give YOU this year? Maybe give a hint by sliding a Moostash Joe Tours Gift Certificate into their mailbox, or with an anonymous email… We can do any amount and would love to help you complete your Christmas list. All you need to do is send in the amount you’d like the gift certificate for and we’ll send you it right back ready to go. Truly the gift that keeps on giving! This entry was posted in Announcements and tagged 2016 tour schedule, bus tours, bus tours from Nebraska on November 16, 2015 by Moostash Joe Tours. Branson, Bus Tours, and Birthdays! Greetings Explorers! How did it get so late so soon? It’s night before it’s afternoon. December is here before it’s June. My goodness how the time has flewn! If you’re looking for a last-minute getaway this upcoming month, we’re here to help with some outstanding discounted senior bus tours from Nebraska! Our Branson Christmas #4 tour, December 7-10, includes some incredible shows – featuring the hit show “Six”. 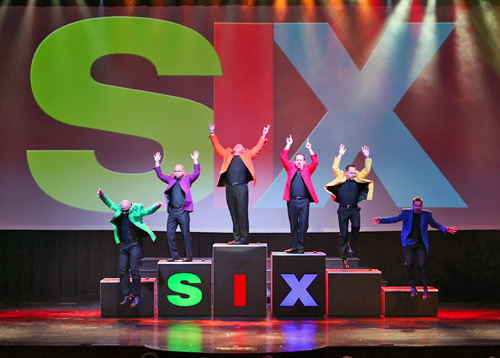 Six is new to our Branson lineups, but certainly not new to Branson. Featuring six real brothers, you simply won’t believe your ears with their variety of a cappella hits. Also, our Ultimate Mystery Christmas tour, December 10-11, will surely be a special Christmas season surprise. 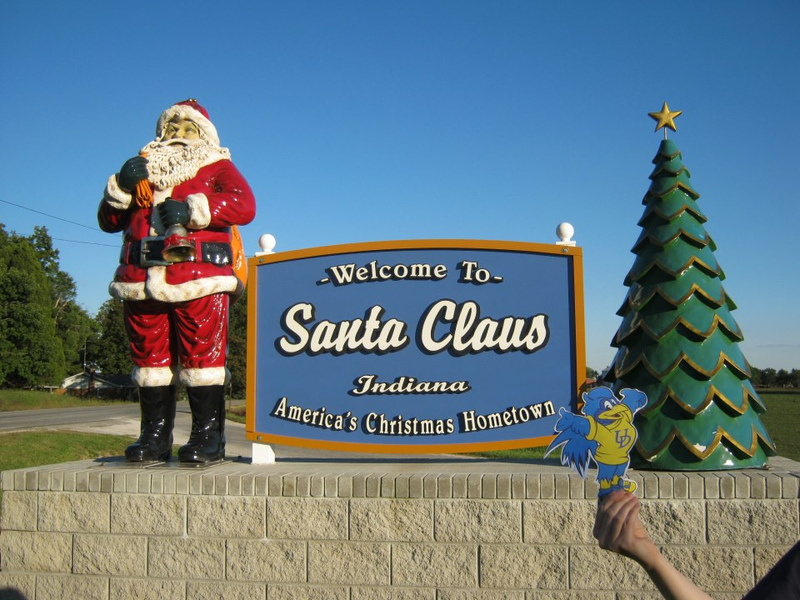 Hint: this years Mystery Christmas tour is going to……….. 🙂 Both tours have seats available but are going fast! Mark your calendars! On Tuesday, November 24th, Moostash Joe Tours has our new office building Ribbon Cutting Celebration from 9:00 a.m. – 10:00 a.m. We’d love for you to come check out our new place, meet our office staff, enjoy one of those famous rolls each tour includes, and have a cup of “Joe” on us! Below is the link to the Fremont Area Chamber website with all the details. We also have a birthday in the office this week! Our newest member, John Spellerberg (Moostash Joe’s youngest son) turns ??? on Thursday. Call in, wish him a happy birthday, and guess his age for a special prize. This entry was posted in Announcements and tagged bus tour, bus tours from Nebraska, senior bus tours, tour schedule on November 10, 2015 by Moostash Joe Tours.